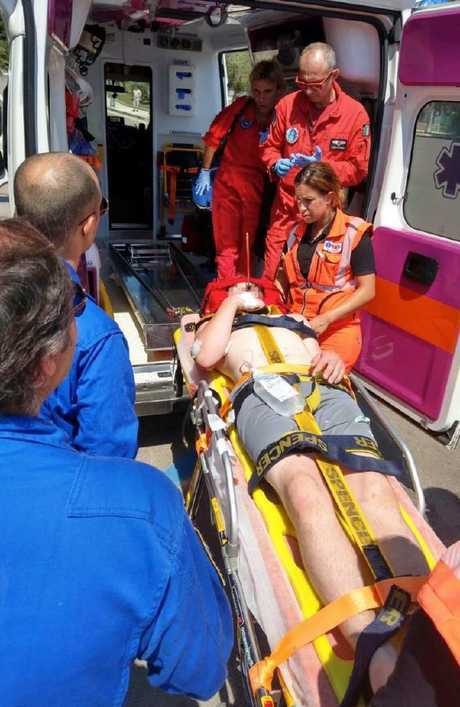 A BRITISH teenager is in a critical condition after he harpooned himself through the eye in a horrific holiday accident. Police said Devon White, 14, was with his family on a boat and was loading the lethal razor-sharp harpoon when it went off and struck him in the left eye. 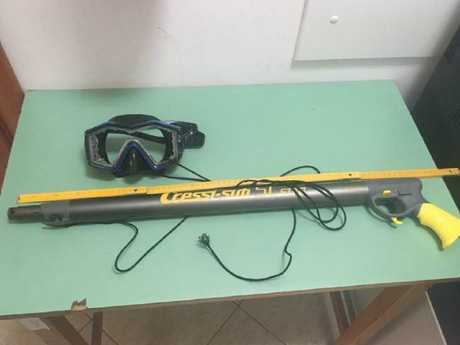 The steel bolt went through his diving mask, which was left shattered and embedded itself into his head following the incident at the seaside resort of Sperlonga, south of Rome. His uncle and older brother were on the hired boat with two friends and they frantically raced back to the beach where lifeguards alerted paramedics. Devon, from Chelmsford, Essex, was given emergency first aid and stayed conscious throughout, speaking to paramedics and police who were amazed he was still alive. Because of the injury he was flown to a specialist hospital in Rome where he underwent a three-hour surgery to remove the bolt and his parents were at his bedside. The bolt appeared to have missed vital organs and blood vessels although doctors said it was still too early to tell if he would make a full recovery and if he would lose his eye. 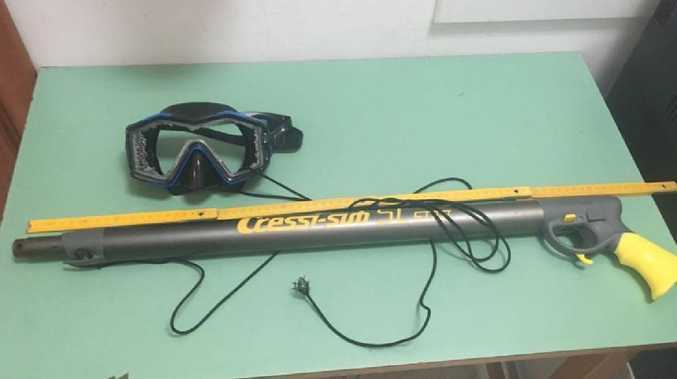 Cops said the group had been firing the Cressi Sioux harpoon at rocks and the bolt had been damaged which meant it had not loaded properly and was the likely cause for it to fire. Officials also said that at 14 he was too young to have been handling the weapon and they were preparing a report fort the local prosecutor who would decide if charges should be brought against his uncle or older brother. 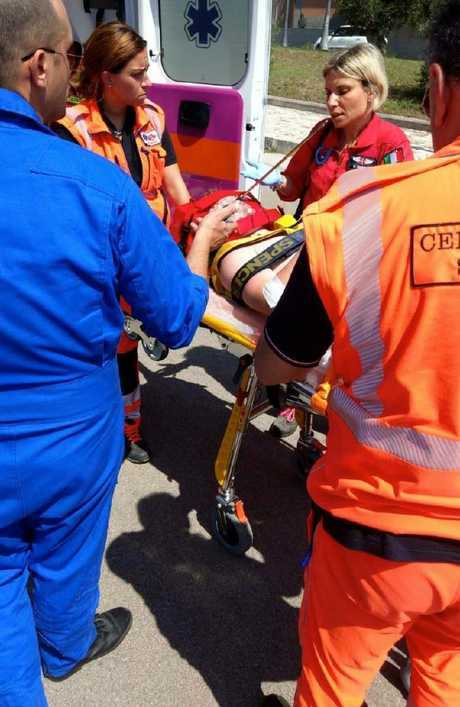 Local carabinieri chief Salvatore Capasso told The Sun on Sunday: "It's a miracle this boy is still alive. I have never seen anything like it." "The bolt was in his head and he was still alive and talking. I'm amazed he didn't die,"
"He must have a guardian angel or some other divine help because he is still alive. "I've seen many things during my career but nothing as macabre as that. I can't believe he was still able to talk to me. "He was on the boat with his uncle, brother and two friends and they were shooting the harpoon at rocks." "It appears the bolt was damaged and then when it was reloaded it didn't lock properly and so when he stood up it went off and shot through his mask and into his head. "The bolt was embedded in his head but appears to have missed his brain and other blood vessels. "It went into a cavity behind his forehead. He is in hospital now and we are all hoping he pulls through. "A file is being prepared for the local prosecutor as he was underage and shouldn't have been handling the harpoon. "As the uncle and brother are older and technically in charge it's possible they could face action, but that is for the prosecutor." A Foreign Office official said they were unaware of the incident.